Elda Asael Feldman completed her high school education at Notre Dame de Sion French High School. In 2003, she started her undergraduate education on Psychology in Koç University. As part of an exchange program, she studied at Carleton University in Canada for one semester. Elda received her bachelor’s degree in Psychology from Koç University in 2008. Same year, she was awarded scholarship by Koç University and started to study for her Master’s degree in Developmental Psychology. She received her Master’s degree with her thesis titled “The Relation between Working Memory and Language Development in 21- to 36-month-old Native Learners of Turkish”. During her undergraduate and graduate education, she worked as a research and teaching assistant in Koç University. She worked in the development of TİGE (Turkish Communcative Development Inventories) for the assessment of language and communication skills of Turkish children in early childhood. During 2005-2008, she planned and conducted play sessions in Smartkids, an activity and development center for children, aiming to foster children’s fine and gross motor skills, language and communication skills, and their abilities on problem solving, critical thinking and team work. During her education, she attended many seminars on child development and play therapy. In 2011, she completed "Küçük Adımlar" early education program, a certificate program, which is designed for education of children who have developmental deficiencies. In the meantime, she took Basic Course on Greenspan Floortime Approach in 2011. 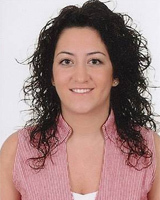 Elda joined to Günışığı Child and Family Counseling, Assessment and Educational Center in October 2011. She is supporting children with developmental difficulties with individual educational programs and she is leading a play group. She is also working with children diagnosed with learning difficulties and ADHD. Child Centered Play Therapy (Filiz Çetin, MA).